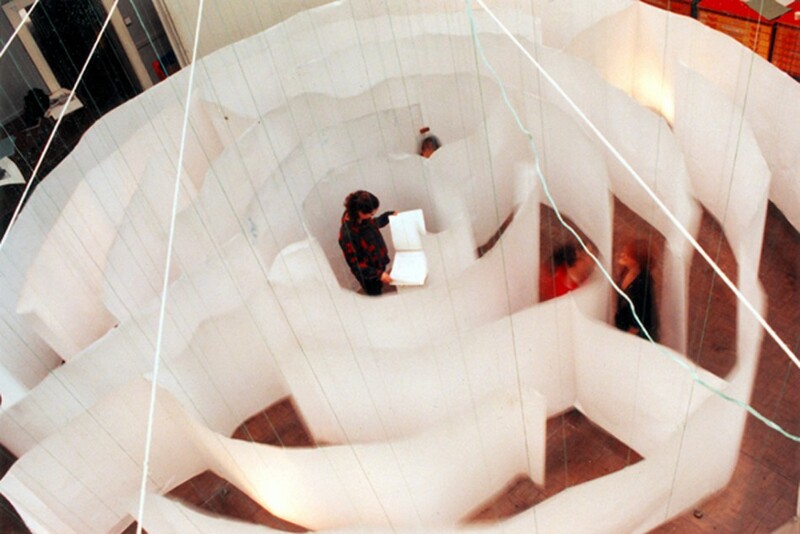 The paper maze is suspended from above by hundreds of strings. Through this work, first made when I was at Ipswich Art College, I discovered that making art can be fun. It was a formative work for me and allowed me to experiment with taking one of my drawings into the physical world and exploring the interactive element. I have since remade this work several times for different venues. It still feels fresh each time I build one, because I add new elements. February 8, 2012 | Filed under Drawings and tagged with fun, interactive, maze, paper.